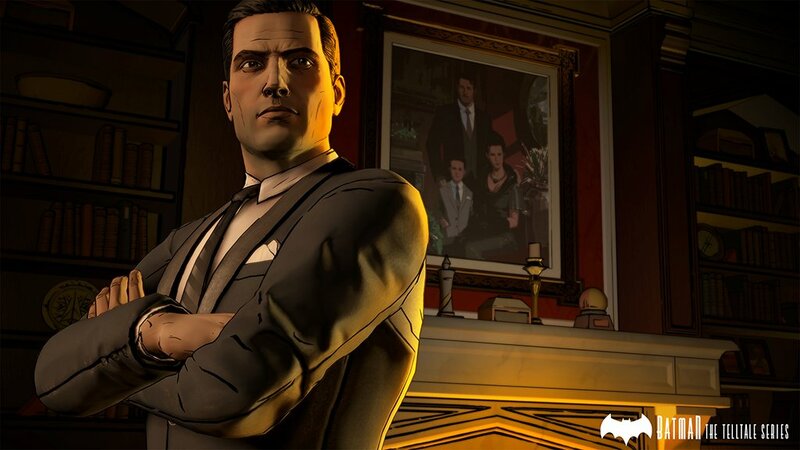 While at E3, I was able to see the first 30 minutes of Telltale’s upcoming Batman series that will contain a wholly original story, albeit with familiar faces and settings. The first episode starts with you playing as Batman, beating up some baddies breaking into Harvey Dent’s office to steal a hard drive. 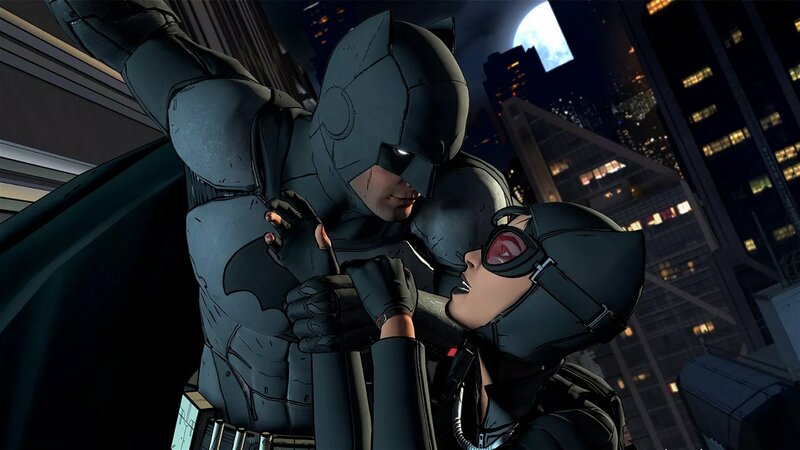 Bats stumbles onto Catwoman and then two begin to fight before she eventually scratches his face and makes an escape. Flash forward to Wayne Manor where Bruce Wayne is getting dressed and dressing wounds received as Batman. Bruce is hosting a fundraiser for his friend Harvey Dent’s campaign and is tasked with mingling with potential donors and talking up Dent. A few uninvited guests show up, including a reporter who is told everything is off the record, and a suspected mobster. In one scene players must decide whether or not they want to shake the mobster’s hand as the camera makes a point to let you know the journalist is watching intently. In Telltale’s demonstration, they chose not to shake his hand, which upset the mobster and caused him to threaten Wayne out of earshot of the other guests. A majority of the demo took place outside of the bat suit, which is a nice change from the loads of other Batman games that came before it. Like most Telltale games, this too is dialogue heavy, but there are also quick time events when donning the mask and cape that gives the game a more actiony feel, which could be off-putting to some. If the full game finds a nice balance between the two scenarios, I think this has the potential to end up being Telltale’s best work yet. The graphics and voice acting are top notch, as we have come to expect from these developers, and I loved everything shown to me aside from one exception: I hated Batman’s voice. I realize in the comics and latest film that Batman uses some form of voice modulator, but here it just did not sound great and was quite jarring when compared to Bruce’s normal speaking voice. Hopefully this will be tweaked a bit before launch because otherwise I feel like we will have another ‘Peter Dinklage in Destiny‘ scenario where most everyone dislikes this particular voice work. That said this is just my opinion, perhaps others loved it and I’m just being nit-picky, but I disliked it quite a bit. All in all, I think Telltale has yet another hit on its hands; hard to go wrong with a universe such as Batman’s that has so many stand-out characters and deep lore, especially when given free reign to create your new story in that universe. I’m certainly looking forward to playing through all five episodes when the game releases later this year.